Designed for Grade 2 - 4 classrooms, the WeDo 2.0 Core Set, Software, and Get Started Project is a hands-on solution that ignites students’ curiosity, while enhancing their skills in science, engineering, technology, and coding. 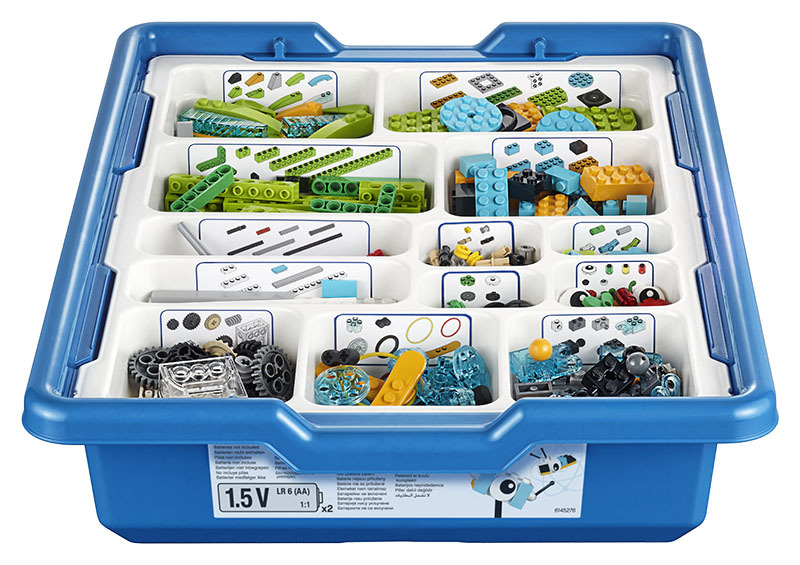 The WeDo 2.0 Core Set contains all of the building elements required to build the Get Started Project, along with the base and design library models featured in the WeDo 2.0 Curriculum Pack. Two students share one core set to boost collaboration skills. * Medium Motor – The Medium Motor can be programmed to clockwise and counter-clockwise and to move at different power levels. Axles or other LEGO® system bricks and other LEGO elements can be attached to the motor. * Motion sensor – The Motion Sensor detects objects within a range of 15 centimeters depending on the design of the object. The motion sensor can also be used as a range detector and can detect if an object is close or far away (up to 15 cm). * Tilt sensor – The Tilt Sensor reports the direction it is tilted. A new functionality in the WeDo 2.0 Tilt sensor is “shake” mode. The Tilt Sensor detects changes within six different positions: Tilt This Way, Tilt That Way, Tilt Up, Tilt Down, No tilt, Any tilt (shake).